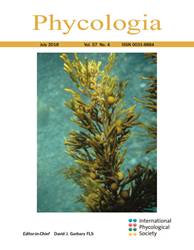 In the latest issue of Phycologia, researchers discover green algae strains that inhibit the growth of potential disease-caused bacteria in humans. With this study, researchers are closer to finding new, natural antibiotic sources to combat bacterial resistance to current drugs. Searching for new sources of natural antibiotics is vital due to the worldwide increase in bacterial resistance to current drugs—a consequence of which is within 20 to 30 years, more people may die from bacterial infection than cancer. Phycologia — The need for discovering new sources of antibiotics is rapidly increasing as the effectiveness of existing antibiotics continues to decline. Examining natural resources for their antibacterial activity is an opportunity researchers are exploring to help combat what could be a potential epidemic of bacterial infections. It has recently been discovered that a group of microalgae organisms have the ability to adapt and survive in environments stressed by human activity. Microalgae are common organisms found in most ecosystems where they are critical for ecosystem function. However, their antibacterial activity has remained largely a mystery until now. In the current issue of Phycologia researchers from Laurentian University in Ontario, Canada examined microalgae found in freshwater near abandoned mine sites, previously deemed “black spots” because of contamination. The researchers collected 100 water samples within 5 km of abandoned mine sites in Ontario, Canada, and grew the green microalgae. The resulting cultures of the algae were tested for antibacterial activity against the four bacteria: Gram-positive Staphylococcus aureus and Bacillus subtilis and Gram-negative Proteus vulgaris and Escherichia coli. The researchers also examined if correlations existed between antibacterial activity and the metal content, pH, and distance from their original water bodies. Of the 100 water samples, 62 produced flourishing cultures and 40 axenic strains were examined. The researchers found that 38% of the algal strains inhibited the growth of potential disease-causing bacteria in humans. This is a significant increase over previous studies where only 10% to 15% were found. Also significant is that S. aureus, which can be highly drug-resistant, was susceptible to alga extracts. Overall, the researchers found no link between the presence of metals, pH or distance from mine sites and the microalgae. The researchers believe that despite the lack of significant correlation to metals, pH or distance, future examination of these environmental factors is necessary to assist in identifying the thresholds for antibiotic production that are associated with green algae and their environment. Overall, this study will help speed up the search for new, natural antibiotic sources. Full text of the article, “Bioprospecting freshwater microalgae for antibacterial activity from water bodies associated with abandoned mine sites,” Phycologia, Vol. 57, No. 4, 2018, is available at http://www.phycologia.org/doi/full/10.2216/17-114.1.